DAVID LE/Staff photo. 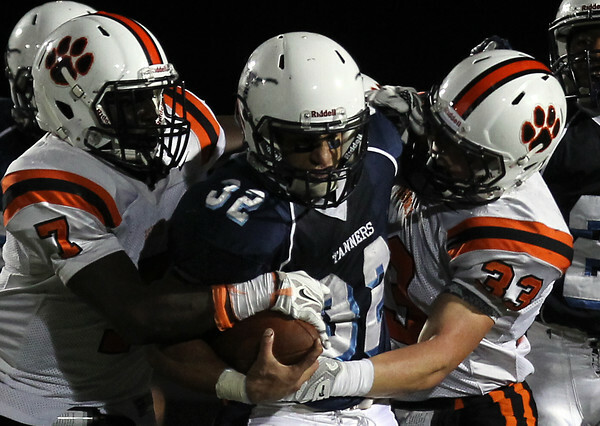 Beverly senior Peter Mulumba (7) and junior Kevin Flaherty (33) combined to take down Peabody star running back Doug Santos (32). 9/25/15.